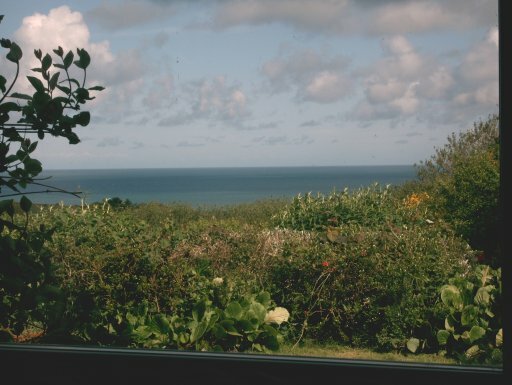 Caerau Isaf is a charming and secluded 3 bedroomed old cottage at the end of a quiet lane with sea views (10-15 minute walk down path to coast path). Ideal for relaxing holiday with activities to suit all. 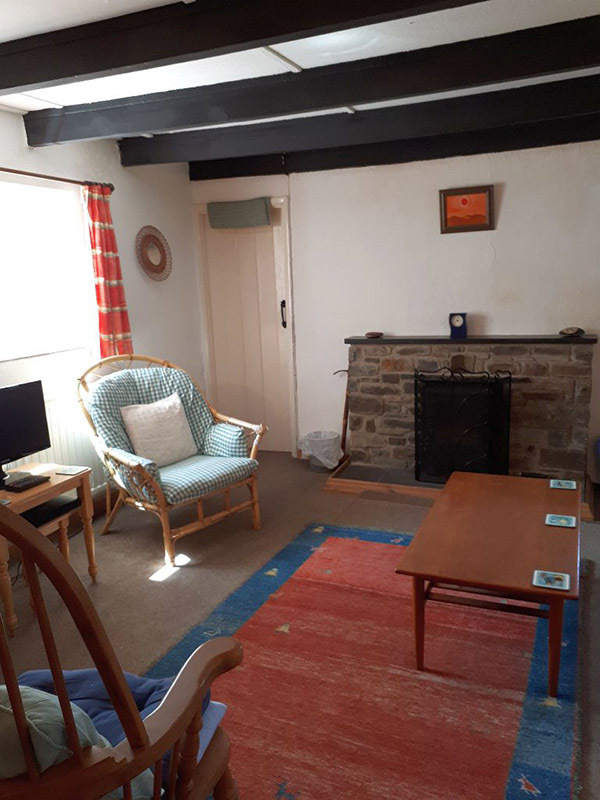 Sleeps 6 (2 twin bedrooms and 1 room off lounge with double sofa bed if required), comfy lounge, dining room, kitchen, bathroom (bath, shower and toilet) and shower/toilet. The lovely garden offers plenty of places to sit and eat inside and out and there’s a sheltered yard outside kitchen. 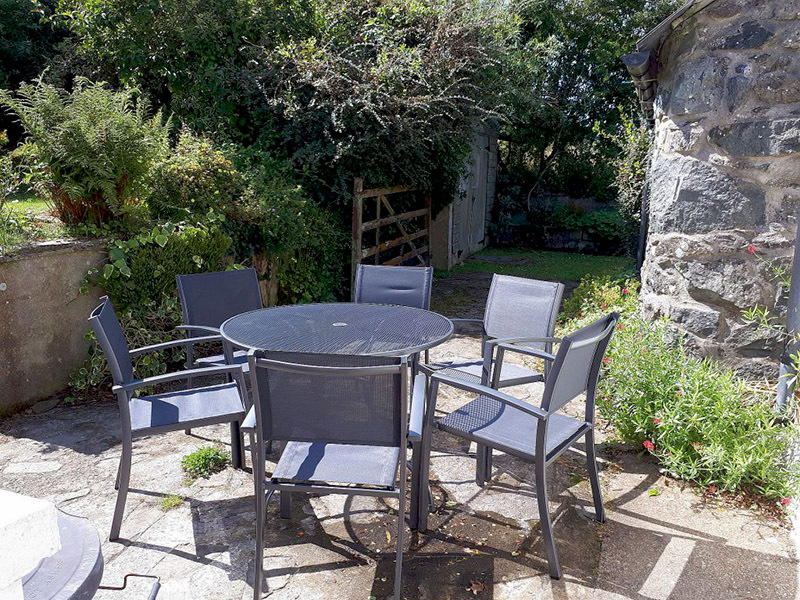 The cottage is midway between St Davids and Fishguard, easily accessible to local beaches, local pubs, shops and 10-15 minutes to the coastal path and great walks. 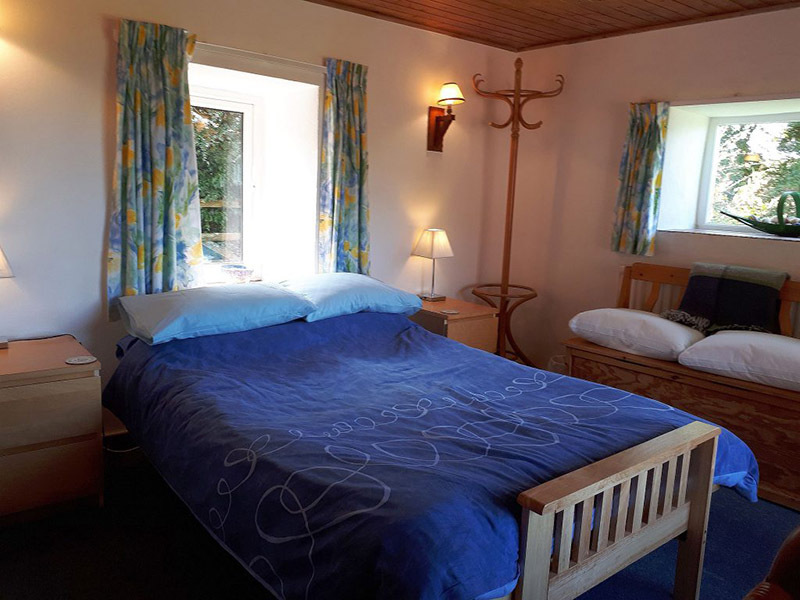 It is fully equipped and boasts beautifully made soft furnishings by the owner. Pets are welcome. 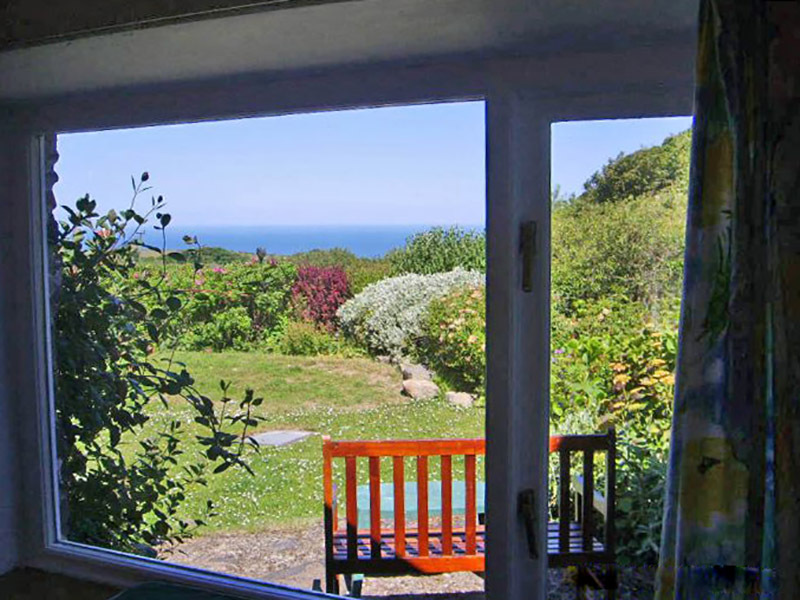 Situated in a quiet narrow lane enjoying superb views from Strumble Head peninsula to Porthgain, it provides a superb vantage point for watching the main birds of passage passing over the Pembrokeshire Coast National Park.The beautiful beach of Ynys Barry is only two miles away. 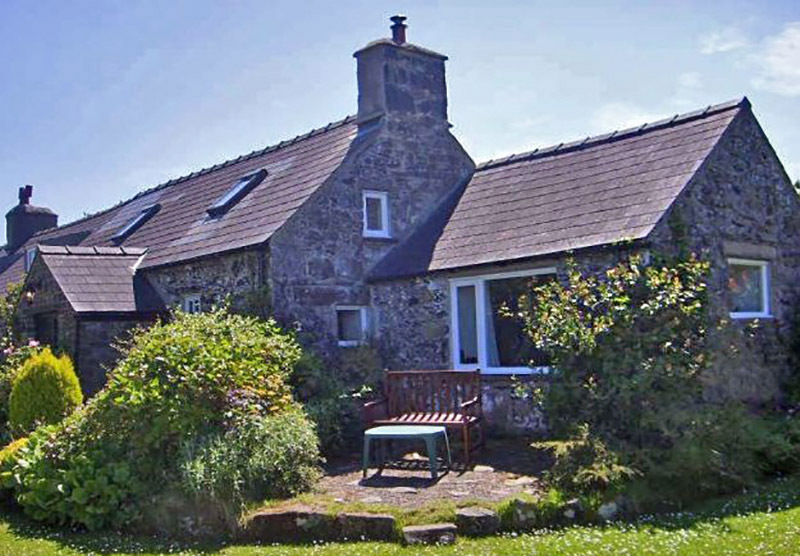 Caerau Isaf is a traditional stone built semi detached cottage. All the accommodation is situated on the ground floor. 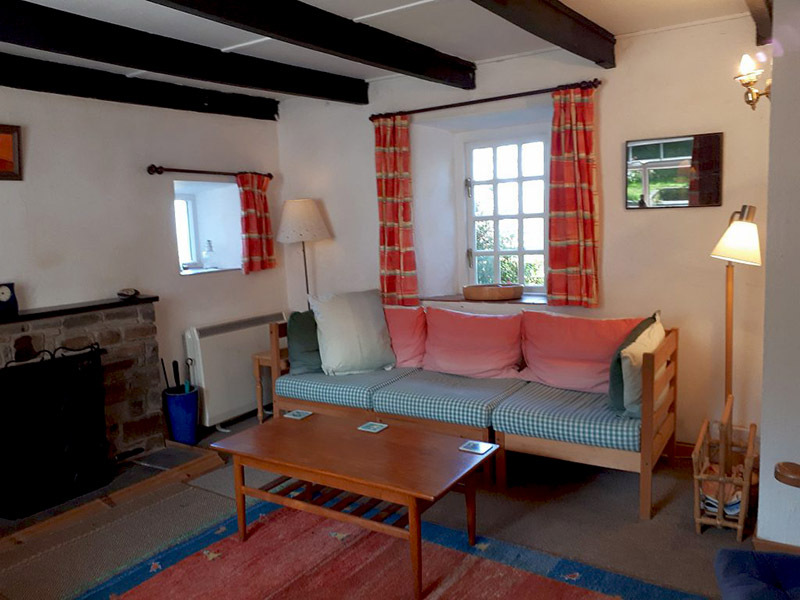 Beamed ceilings and quarry tiled floors, keeping some of its original charm and character, the cottage offers delightful accommodation, is comfortably furnished and well equipped. 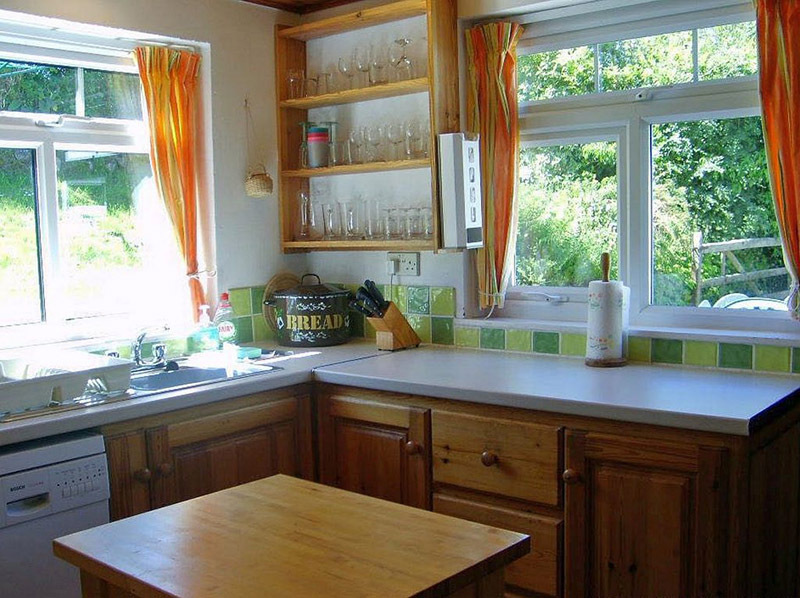 Kitchen is fully equipped with electric cooker, fridge freezer, dishwasher, washing machine and microwave oven. Heated with modern thermostatically controlled electric radiators and a multi-fuel stove in the lounge. Back door leading to a patio area. Separate Dining room, Leading to Lounge comfortably furnished, featuring a multi fuel stove. Colour TV combined DVD/CD player, broadband is available. Leads to Sun room with delightful views towards the sea. There is a double futon which can be used to sleep extra persons. 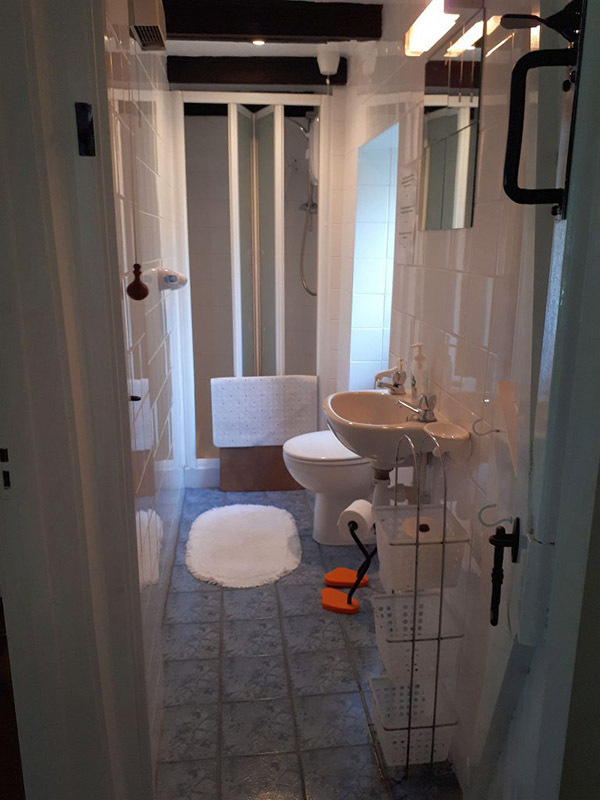 Off the hall there is a family bathroom with electric shower over bath. 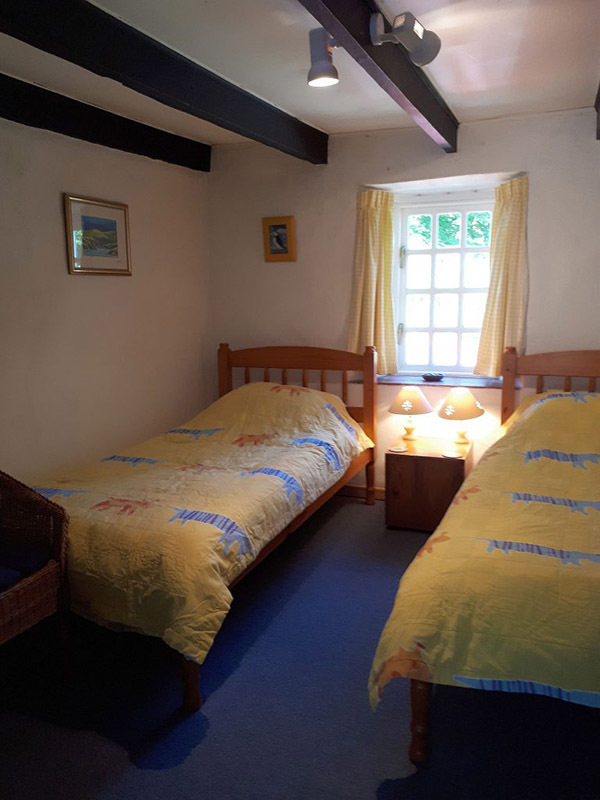 A separate shower room and two twin bedrooms, both comfortably furnished with pine slatted beds. There is a small den in the eves if you want to escape, or ideal for children to play where there is a large box of Lego and various games. In the large secluded garden there are some steps to different levels so young children need to be supervised. Parking for two cars directly outside the cottage.